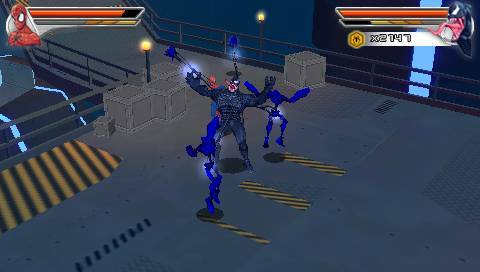 Spider Man Friend or Foe NDS apk android for DraStic free download working on mobile and pc,Nintendo DS EmulatorInspired by the Spider-Man film trilogy and the classic Spider-Man comics, Spider-Man: Friend or Foe challenges players to defeat and then join forces with notorious movie nemeses including Doc Ock, Green Goblin, Venom and Sandman, and embark on an epic quest to overcome a worldwide evil threat. 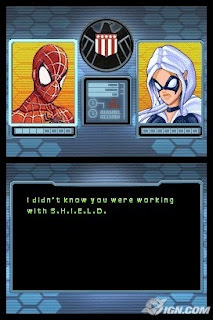 Throughout the game’s original story and thrilling battles, fans control Spider-Man and one of numerous Super Hero or Super Villain sidekicks and master unique fighting moves and styles while switching between characters to execute team combos and defeat foes.Spider-Man: Friend or Foe allows players to choose a sidekick from Spider-Man’s allies — Pick from a long list of Spider-Man’s powerful allies, like Blade and Iron Fist, and swap between the web-slinger and the chosen sidekicks at any time during gameplay. 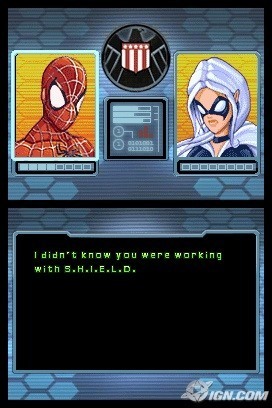 Each sidekick, good or evil, features their own unique attributes and powers that will assist Spider-Man throughout the game’s challenges. Fight against movie Super Villains and then alongside them in Spider-Man: Friend or Foe — Using an innovative combat system, face off against and defeat some of the Spider-Man movies’ most notorious Super Villains such as Doc Ock, Sandman and Green Goblin, and then convert them to join Spidey’s list of potential sidekicks. 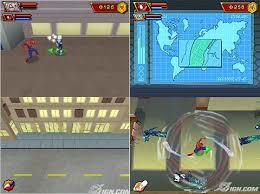 In Spider-Man: Friend or Foe, gamers team up in two-player co-op — A unique co-op mode lets friends join the game at any time and take control of Spider-Man’s sidekick. Playing in two-player co-op mode allows gamers to discover new ways to overcome obstacles and enemies. As players progress through the game, battle arenas are unlocked where raw one-on-one brawling with any Super Hero or Villain can take place at any time. 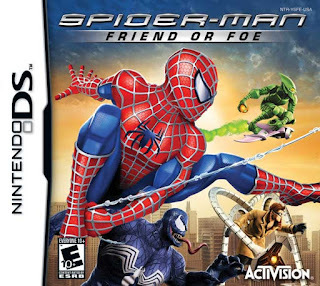 Come back for more, again and again, with Spider-Man: Friend or Foe — Replay the game or experience Versus mode with a different sidekick and eventually play as Black-Suited Spider-Man (Spidey’s darker, more aggressive persona) featuring unique powers and abilities. Throughout the different worlds, a host of secret areas containing special tokens can be discovered in the first play through, which players can go back and explore at any time. Gamers can also uncover a variety of hidden items scattered throughout the game which unlock collectables, powers and mini-games.